Ben Venom is a self-taught American textile artist, hailing from Georgia and now residing in California, using traditional quilting techniques to produce work influenced by many aspects of counterculture and what he calls “the fringes of society”. Recently, Ben visited the UK following the Home of Metal exhibition, Never Say Die! 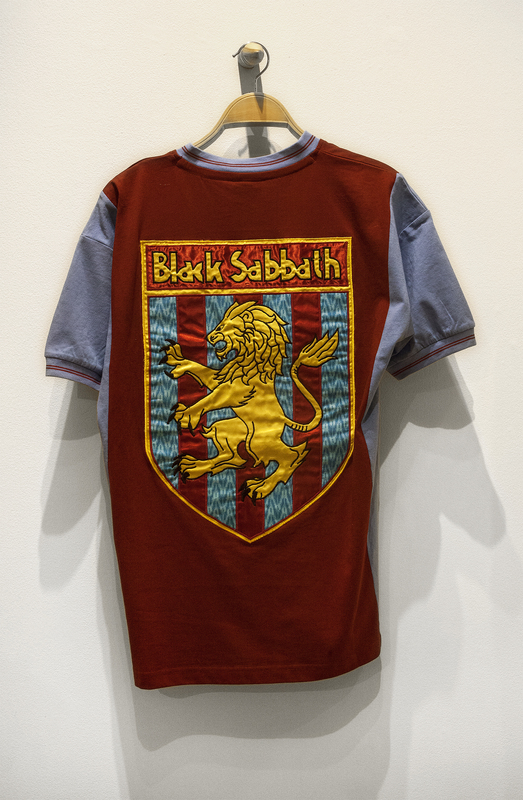 Celebrating 50 years of Black Sabbath, in Los Angeles at Subliminal Projects, which featured one of Ben’s pieces. Home of Metal invited Ben to be part of Never Say Die! after his work featured in the original programme at Wolverhampton Art Gallery as part of Home of Metal back in 2011. Ben described to us the “collision” his work creates between quilting and sewing (which are traditionally thought of as female crafts) and the harder, masculine or “aggressive” influences that he draws on. 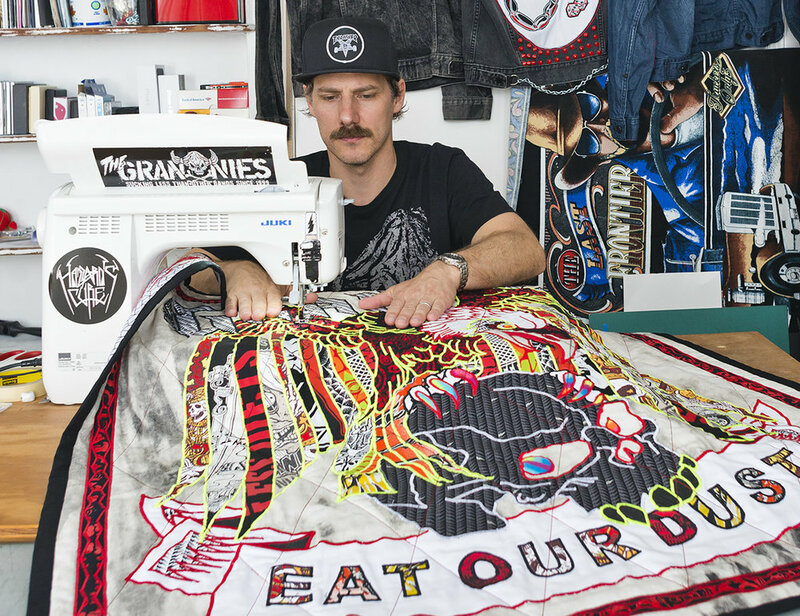 Ben is into skateboarding, heavy metal and punk and often uses tattoo imagery, street gang culture and the occult to tell personal and sometimes political stories through the pieces he sews. Ben works alone at home in San Francisco, in just one room, on a relatively simple sewing machine; this domestic scene contrasts rather starkly with the well-worn, used fabrics and dark imagery that he uses. We see skulls, crucifixes, blood drops, eyeballs, tigers and playing cards all arranged in very colourful, bold designs. Ben salvages fabrics from anywhere and everywhere and repurposes them into his work. A lot of the quilts have focused on band t-shirts, which are reused and recycled into the quilts, some of which take 100s of hours to sew. Ben is adamant that he only uses t-shirts from bands of whom he’s a fan! 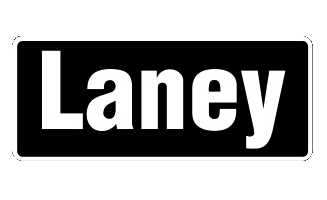 These include Black Sabbath, AC/DC, Iron Maiden and Slayer. He will often use donated t-shirts or denim and enjoys how this connects the donator to the pieces. Each t-shirt, with its rips and stains, contains its own story that then becomes enmeshed in the artwork. All of Ben’s art is functional and useable as well as aesthetically pleasing. The embroidered jackets can be worn and the quilts can keep you warm, all constructed using traditional layering and applique techniques. He began exploring these techniques (and learning quilt making from a book!) after seeing the quilts made by the Gee’s Bend rural community in Alabama. These women, many descended from slaves, made patchwork quilts from scraps of found fabric, seed sacks and recycled farmer’s work-wear using traditional American quilt-making techniques influenced by African art. Ben’s work is playful and sometimes funny, featuring foul language and subversive imagery, song lyrics or a logo from his favourite metal band. These elements, in addition to the traditional sewing techniques, attract a rather unique mix of audiences to the work. At one of Ben’s exhibitions you might get a head-banging skater next to a sewing-obsessed grandma admiring the same embroidered battle jacket or giant-sized quilt. And that’s exactly what we’d love to see next year, when Ben returns to the UK for his first solo show as part of the Home of Metal 2019 programme at Mac Birmingham.